The legislative session keeps moving forward. Things change rapidly, sometimes on an hourly basis. But final decisions seem to come slowly with entire days going by without clarity. But so it goes. We are definitely seeing forward movement, though. HB 2760, the property tax exemption extension, passed out of the Senate Finance and Revenue Committee on a unanimous vote. It now heads to the full Senate for a vote and, assuming it passes, will go to the Governor for her signature. It has no opposition so we expect the bill to pass easily. Details are still being worked out but we’ve also seen some movement on the solar tax credit (soon-to-be) formerly known as RETC. Don’t panic when you read this line but the program known as the Residential Energy Tax Credit will be allowed to sunset at the end of December 2017. BUT…under a new agreement recently developed by a legislative workgroup, on January 1, 2018, a new residential solar tax credit will immediately take its place. The new program – which will eventually be known as RISE (Residential Investment in Solar Energy) – will provide a tax credit for residential customers installing solar arrays. It will be for six years, starting at $6,000 for two years, then $5,000 for two years, then $4,000 for a year and, finally, $3,000 for Year 6. 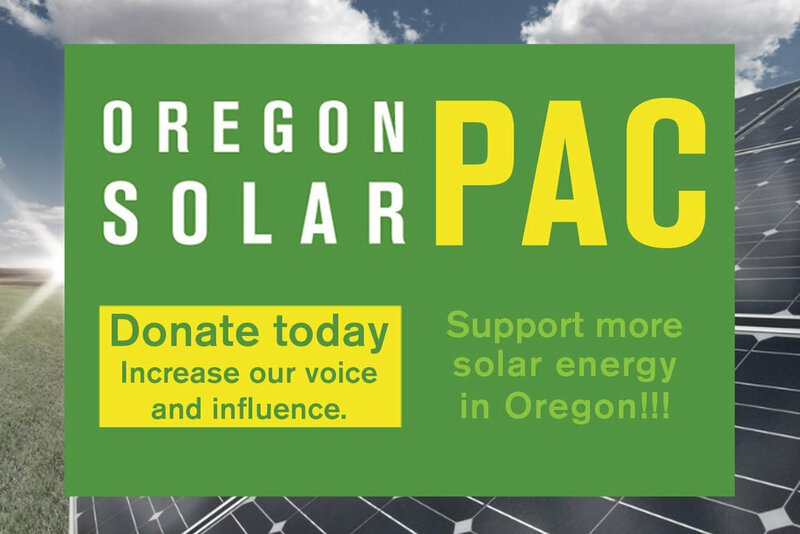 It will be administered by Business Oregon, the state’s economic development agency, which will also be required to track and report on the growth of solar jobs and the amount of megawatts installed on residential rooftops year after year. Overall, it would operate similarly to the expiring RETC. BUT…while there is agreement to include this new tax credit in a final tax credit bill, the actual existence of a final tax credit bill depends on revenue and funding. Currently, the Joint Committee on Tax Credits has not been given “the number,” that is, the amount they are able to spend on tax credits. As we’ve discussed previously, the state budget is very tight and the revenue debate is still underway. So, we’re still waiting word that there is money to fund the new solar tax credit (and other tax credits). Things are still very much in flux…unless they’re not. And that could change. Yeah, we know, it’s confusing. Stay tuned!